Ariana Grande will return to the stage for a special New Year's Eve show. 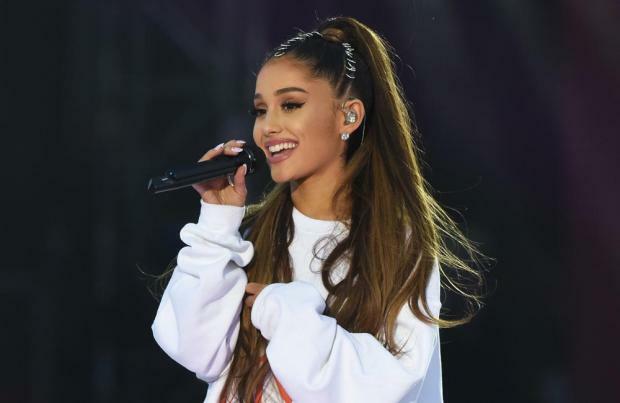 The 'No Tears Left To Cry' singer – who recently revealed she was too scared to tour after a difficult two years including the Manchester terror attack and the death of her ex-boyfriend Mac Miller – has confirmed a concert for December 29. Ariana will take to the stage at The Chelsea in The Cosmopolitan of Las Vegas to kick off the last weekend of the year, with Imagine Dragons returning to their hometown two days later to ring in 2019. The exciting news comes after it was announced that Ariana – whose former flame passed away last month from a suspected overdose at the tragic age of just 26 – is set to perform at the first-ever Barbara Berlanti Heroes Gala benefiting F**k Cancer in Los Angeles on October 13. The star – who has had a tragic couple of years, which saw 22 people die at her concert in Manchester, north west England after a suicide bomber detonated a bomb in the arena's foyer area and more recently, Mac's death – previously admitted she wants to go tour but is too frightened. She tweeted: "I'm antsy. can't sit still. i wanna tour now. yesterday i jus wanted to sit home forever but today i wanna do show and see u. it's all v up n down rn. but hi. ily. i am working on it. i'll keep ya posted. "Id never regret it. my happiest moments are with y'all and on stage and stuff. i think it's just the looooooong chunks of time away from home that are scary to me rn. hi i'm being too honest and people r gonna tear me apart but idc anymore. lol (sic)."